The stock has been holding up the 200 dema for the last 1 year. Will need to see if it can do the same this time around too. If stays below 440 it can drop down to 380-400 levels. In the last 1 year the stock has been in the range of 900-1100. The big question now is whether it can cross 1100-1150. My preferred answer is yes but its need to be seen when. Ideally its Reliance Inds which now leads to take the leadership for Sensex. where will it find support.? There are plenty of rumours of new scam, Govt will be dethroned, and so on. 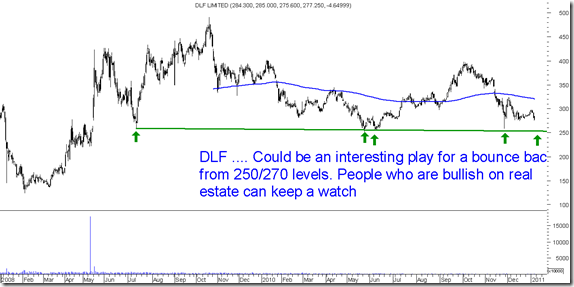 In such an environment what should be stance of an retail investor? What will be worst case scenario for the nifty? has RELINCE become bearish now? 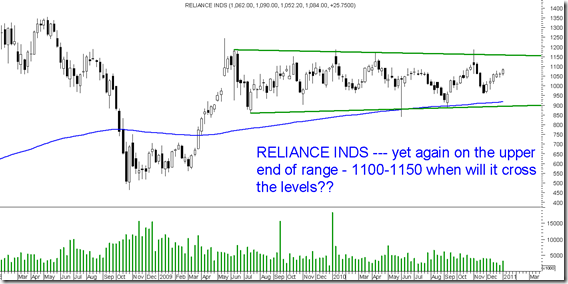 Reliance is a stock to watch for over next few months could take leadership/.